Bad weather, hard floors, and stiff foot muscles all conspire to ruin your workday - and let's face it, work is no picnic to begin with! Chippewa Men's 73100 Brown 8 Inch Lace-To-Toe Waterproof Logger Boots won't necessarily improve your job, but they certainly wil ... (see full details) (see specifications) #CHP73100. Bad weather, hard floors, and stiff foot muscles all conspire to ruin your workday - and let's face it, work is no picnic to begin with! Chippewa Men's 73100 Brown 8 Inch Lace-To-Toe Waterproof Logger Boots won't necessarily improve your job, but they certainly will take some of the strain and sting out of your feet. That can be all you need to make your work day go better. Eight inches of Bay Apache brown leather create the rugged exteriors, giving them a flexible and fashionable design that contrasts nicely with black logger soles. Texon insoles inside create a fit that feels both flexible and comfortable. These removable (and easy to clean) orthotic soles are cushioned for shock-resistance. This men's footwear is built to be rugged and tough, but that's no reason they can't be comfortable on the insides. Chippewa made sure the brown boots have both durability and comfort by using premium leather uppers and premium Vibram one-piece yellow plug logger outsoles on the exteriors, along with a great combination of moisture-managing liners, waterproof membranes, and removable comfort insoles on the interiors. Maple Taibrelle lining creates breathable, cooling places for your feet, which will work to keep the inside of this premium workwear more comfortable by helping to manage moisture created from your feet. The Chip-A-Tex guaranteed waterproof booties create a strong seal against outside moisture, because who needs water in their Chippewa boots? Supporting steel shanks provide inner strength for your feet and arches, lessening muscle strain. Repairable Goodyear leather Welt construction employs a secure stitching method to attach the non-marking Vibram outsoles. Oil-resistance in the logger footwear safeguards against wear and corrosion from chemicals, while slip-resistance further strengthens the tough tread. There are a lot of things that might ruin your work day, but one pair of Chippewa Men's 73100 Brown 8 Inch Lace-To-Toe Waterproof Logger Leather Boots can do a whole lot to negate them. Order your pair online from the Working Person's Store today. The leather used on these logger boots is perfect. It's not too stiff like the WESCO boots I have and its not too soft like some of the cheaper boots. No, this leather is soft to the touch but is thick to provide the support I need when working in the field. Standing on odd shapes at odd levels can beat your feet and ankles and these boots do a good job of supporting me in that. Im partial to Chippewa boots so take that into account. Good luck. These are the toughest boots i have ever owned and the most comfortable boots I have ever worn. They are just all around a good boot. Took me almost 3 years to wear them out. They're awesome boots. Never will where another kind of boots in my life. I think you get what you pay for with this Chippewa boot, its my 2nd pair of chippewa loggers and they are hands down great quality, tough, and durable. I work on billboards for a living and thought these boots worked very well all year round. From Tree and vegetation Clearing, climbing structures, building, electrical work and construction i never had a boot hold up very long like chippewa. Even after work when i work out in our muddy horse pasture they work well. I think because they are hand made in the USA makes them that much better too. Everyone's feet are different and whats comfortable for me, may not be for you, but if they fit well and your looking for a good all year round work boot i would say this is probably the best boot for you. These boots were comfortable from day one! Love them. I'm a lineman and they have great support when climbing poles. They are tough but very lightweight, they are true to size, fit perfect out of the box. Very well constructed boots. Durable and comfortable. Highly recommend these boots. Only took about one day to break in. I found this style boot from Chippewa #73100 to be true to size. 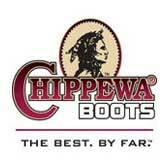 Chippewa boots are the best on the market! Chippewa Boots: Men's Waterproof Brown 73100 Logger Work Boots is being added to your cart.